Nerdtour 2012: What a difference two years makes – Nerdwatch! Just a quick aside, I wanted to show just one small thing that was affected by the horrible earthquake and tsunami of 2011. When my brother Darrell and I went to Matsushima in 2010, we toured the grounds of the Zuiganji temple, which had been founded in 828 AD and rebuilt around 1600. 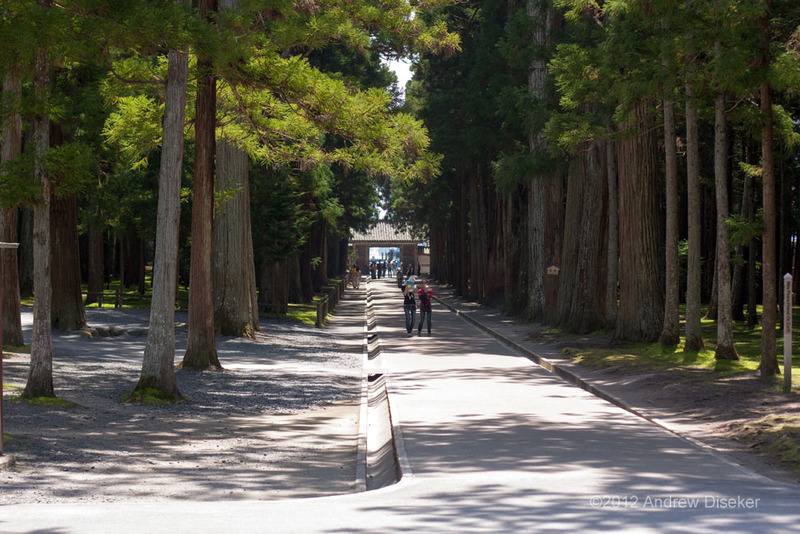 One of the things I liked best about the grounds when I first went there in 2007 was the grove of tall straight pines that lined the path leading to the temple itself. 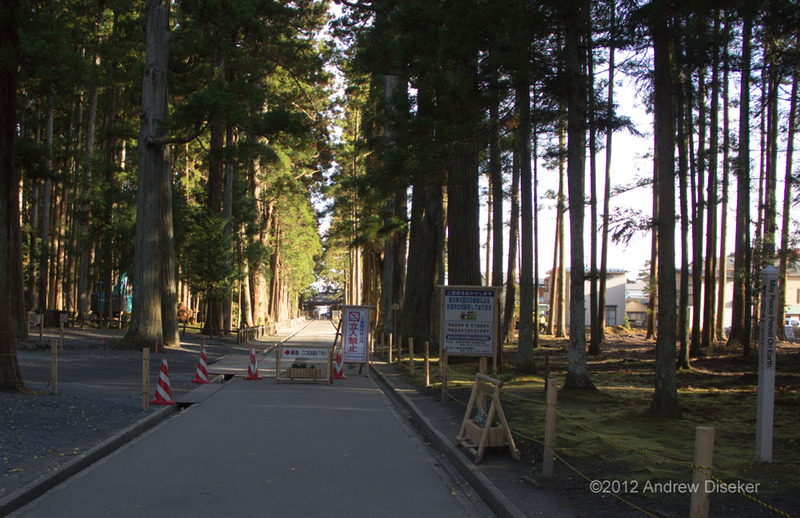 I had read that the grove suffered major damage in the aftermath of the tsunami of March 2011, in that many of the trees had been poisoned by the huge amount of salt water that flooded the grounds, soaking into the roots, killing them. 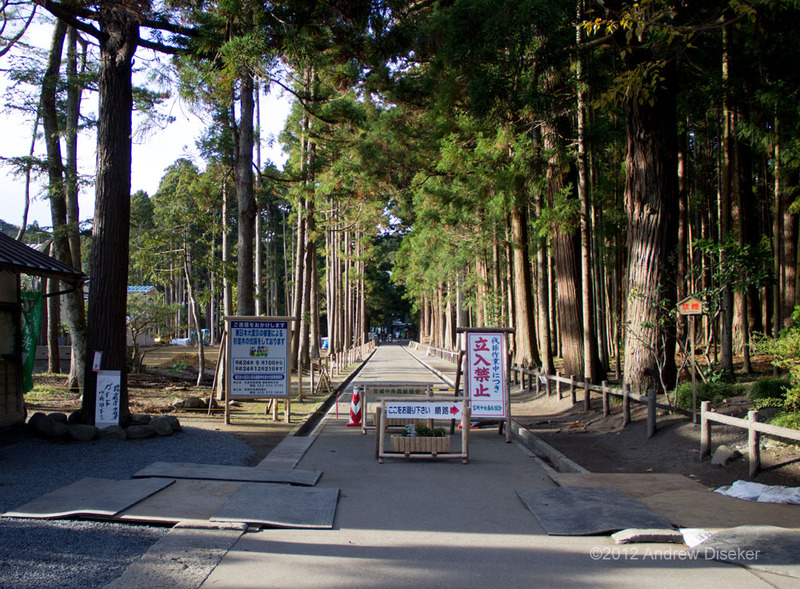 When I went back this year, I wanted to see how much had changed in Matsushima, and I especially wanted to see what had happened to my favorite grove. As I had feared, the damage was quite extensive, with huge swaths of dead trees already cleared out. The people working on the grounds were and are carefully removing the trees, which are sacred symbols to them, and cleaning up the salted ground so that new trees can be planted. 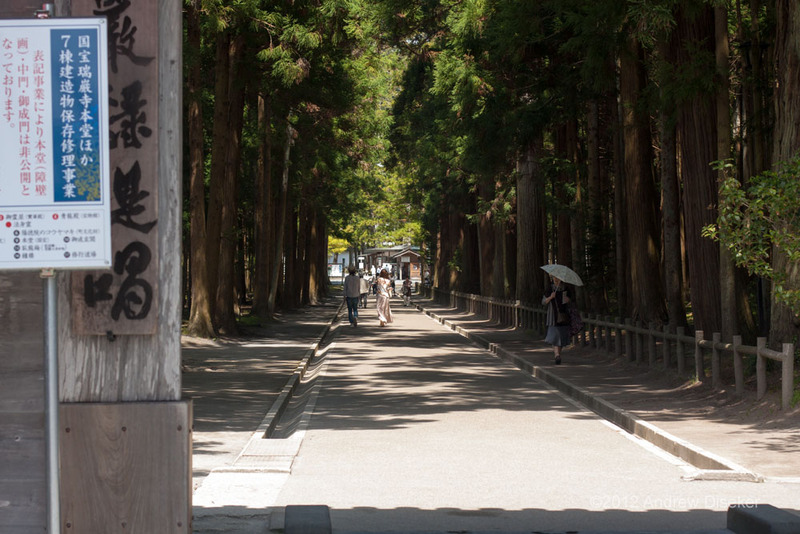 It will probably take longer than I’ll be alive before the grove is back to how I remember it, but it will get there eventually, the people of Matsushima and Japan will see to that. Looking south along the central path in 2012. Tagged damage, grove, Matsushima, nerdtour, Nerdtour 2007, Nerdtour 2010, Nerdtour 2012, restoration, tsunami, Zuiganji. Bookmark the permalink.